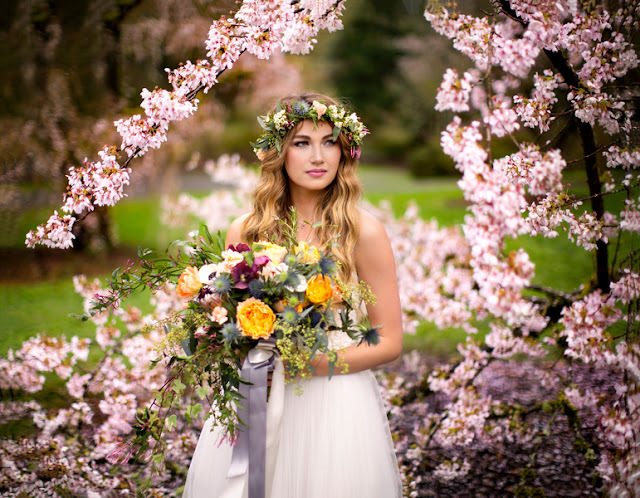 Delighted this morning to bring on the Spring blooms and surround you all in the eye candy of soft pastels created by a group of super talented pros out of one of my fave cities, Seattle. 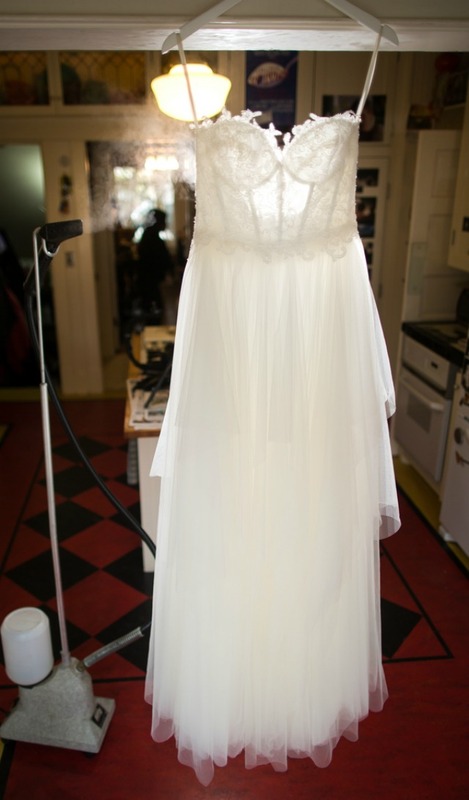 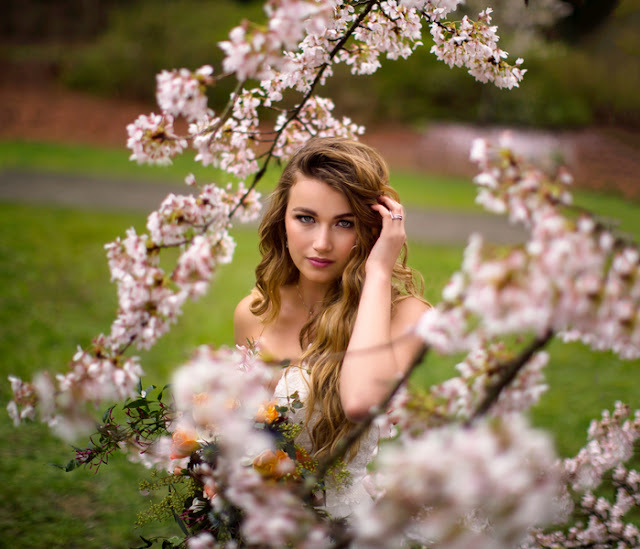 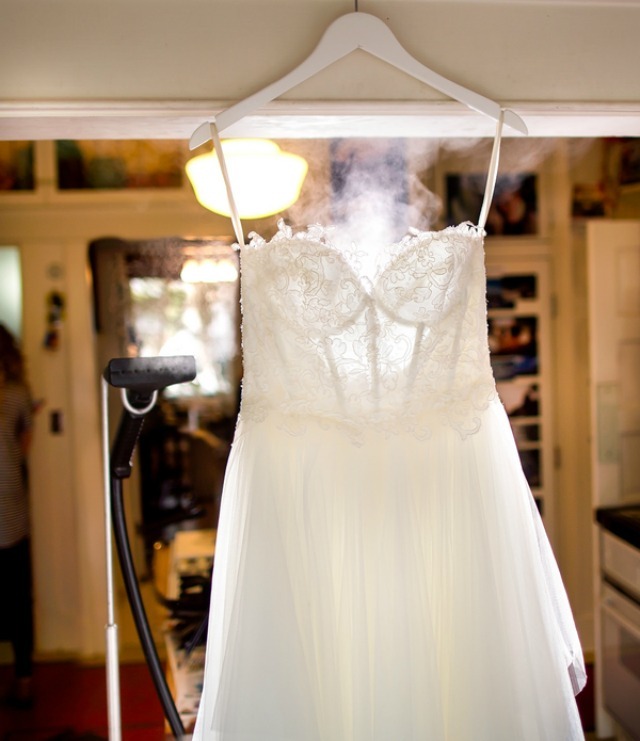 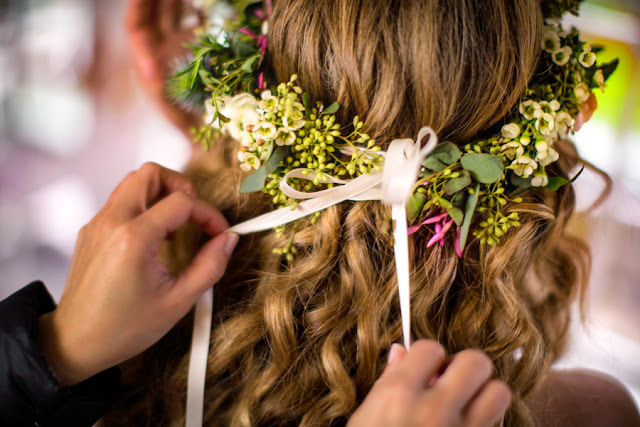 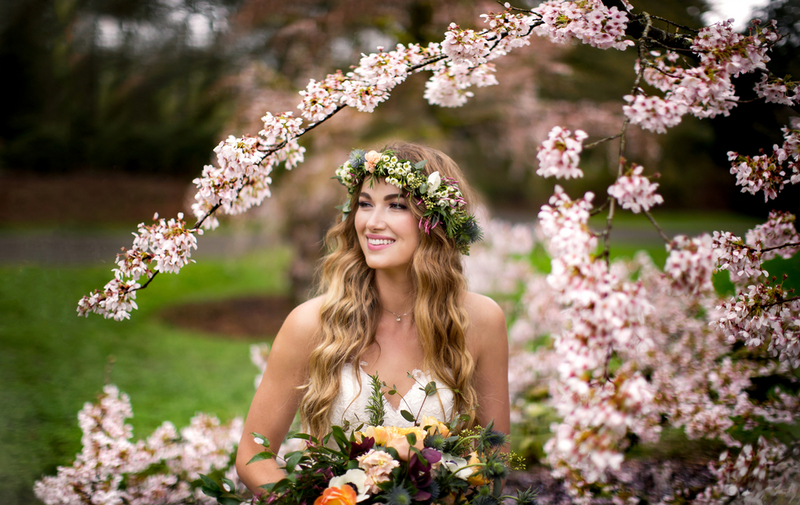 Shooter, John Curry captured this medley of loveliness and here's what he had to say about it all: "How great to get married in Seattle!.....for many reasons, ONE is the connected network of wedding professionals here. 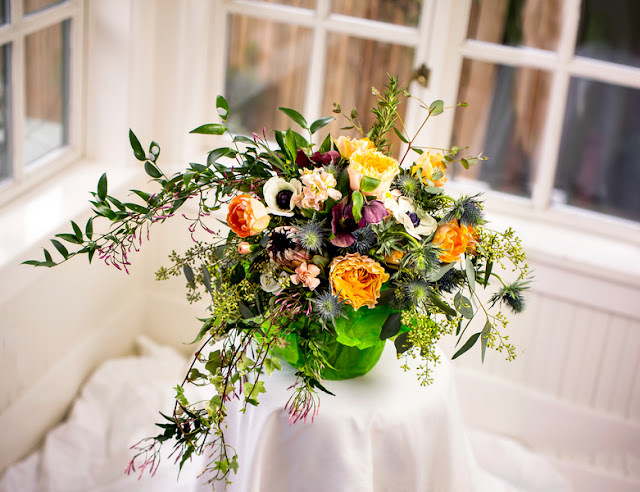 We work together at weddings and stay connected in social media. 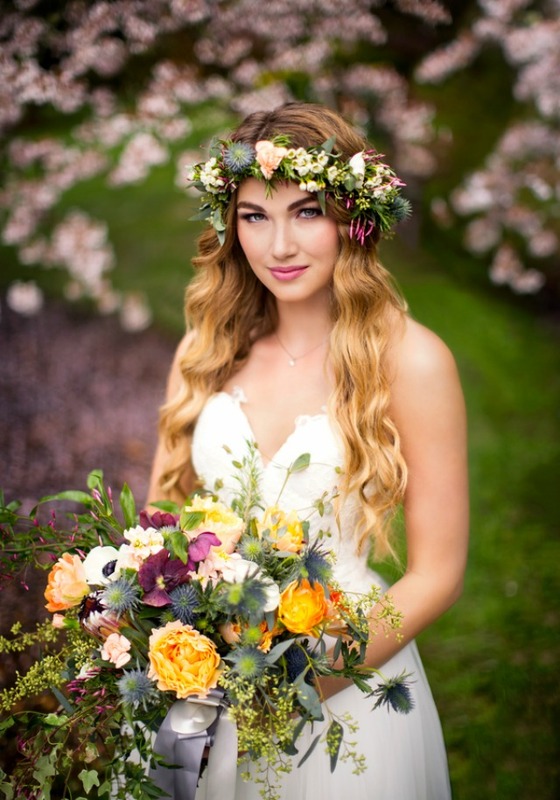 This March, all the pros listed below came together to design and shoot “Love In Bloom 2016”. 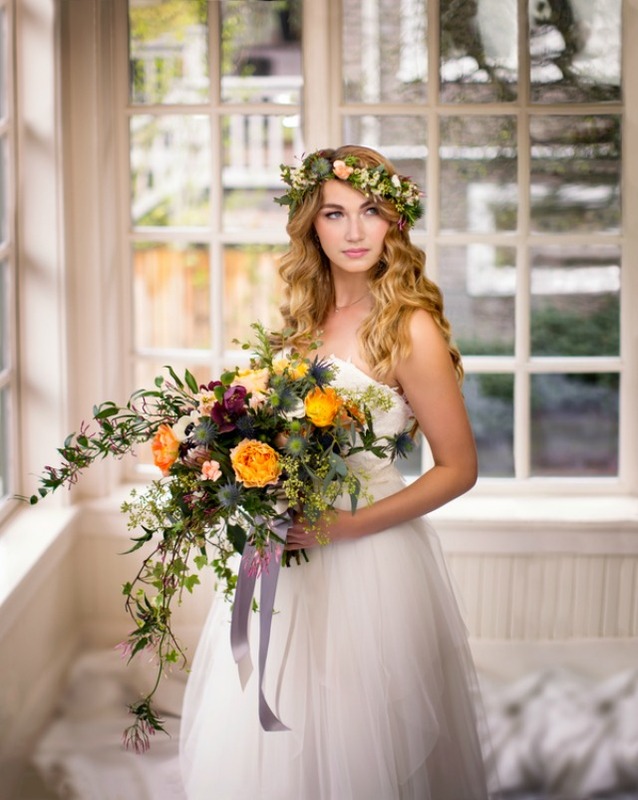 We did our shoot to create some looks that inspired us, and we knew would inspire brides. 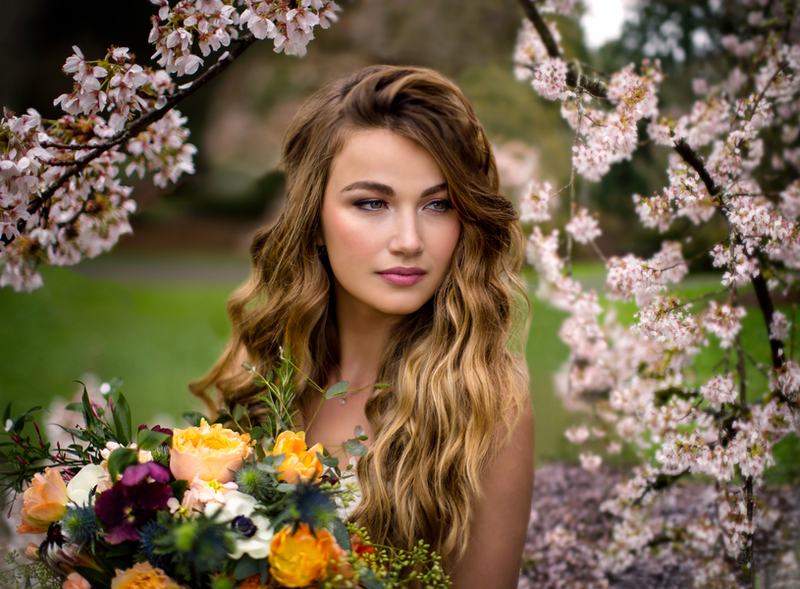 The elements of our shoot included: romantic, spring/summer renewal, the colors of blush, peach, grey, navy and cream. Topping it all was the backdrop of pink blossoms of cherry trees in The Seattle Arboretum . . "
I must say these are one of the best wedding photoshoot I have seen at the Bride Chic. 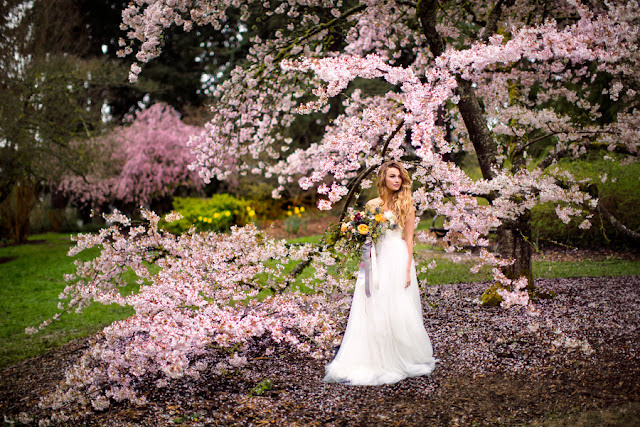 The bride, decoration, flowers, backgrounds everything is perfect. 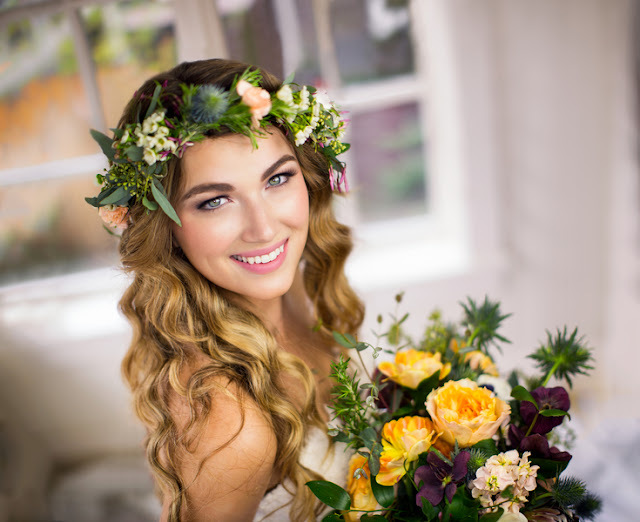 If someone want to learn more about the Wedding Inspiration I think this is the right place for you!